Bring all the colours of the rainbow to your table! 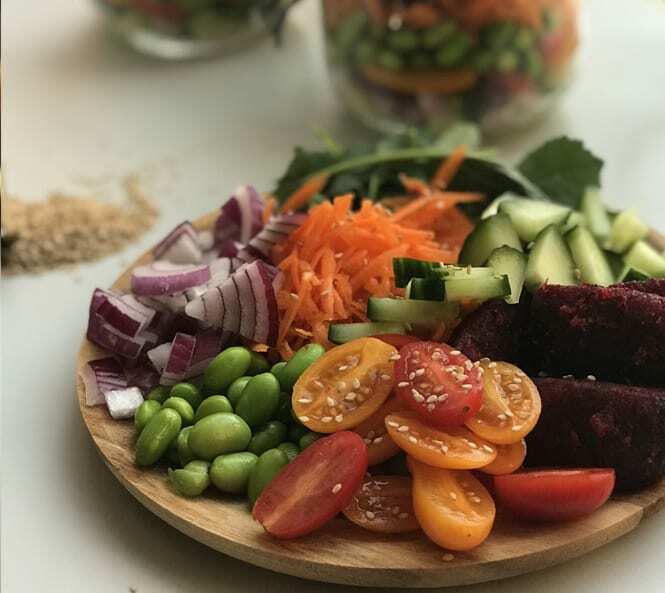 Our Rainbow Layered Salad combines the earthy flavour of our Roasted Beetroot Wedges and the freshness of sliced tomatoes, carrots, onions, cucumbers, and edamame. It’s a satisfyingly simple way to get your veggie servings in while adding colour and variety to your plate. Layer all of the ingredients into a jar, as desired. Make sure to keep the salad leaves towards the top to avoid them from going soggy. This is the perfect option for a healthy work lunch on-the-go!